Click past the jump to read more about the Toyota Sienna SpongeBob Edition. 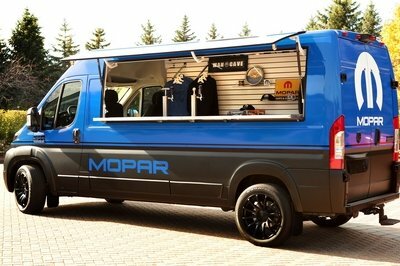 Video: The Toyota Sienna SE minivan is the "Swagger Wagon"
Is This The Racing Version Of The Toyota FT-1 Concept? Even if you do distinguish the car from its design, it’s hard to take your eyes off of SpongeBob’s face. 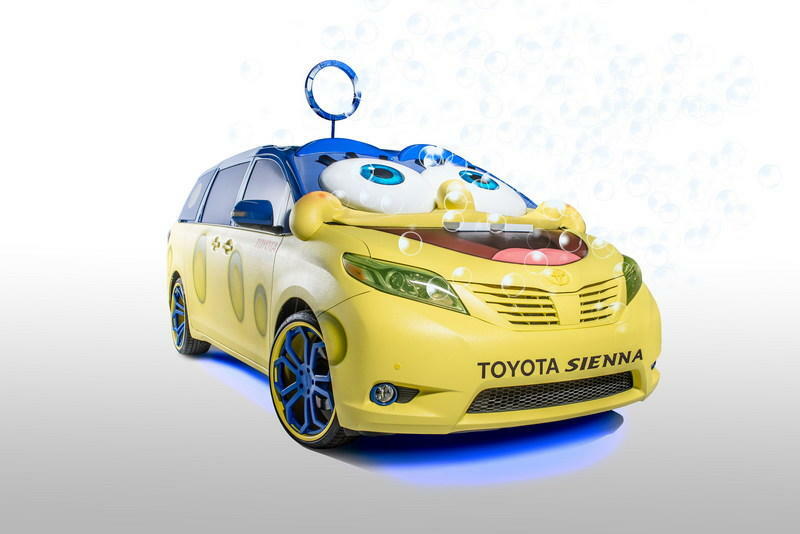 Toyota swears that there’s a Sienna somewhere under the fully customized Spongebob exterior. Even if you do distinguish the car from its design, it’s hard to take your eyes off of SpongeBob’s face. It literally occupies every square inch of the Sienna’s windshield and even extends down to the hood where his mouth is, completing the face that has made fans out of millions of kids — and adults — all over the world. 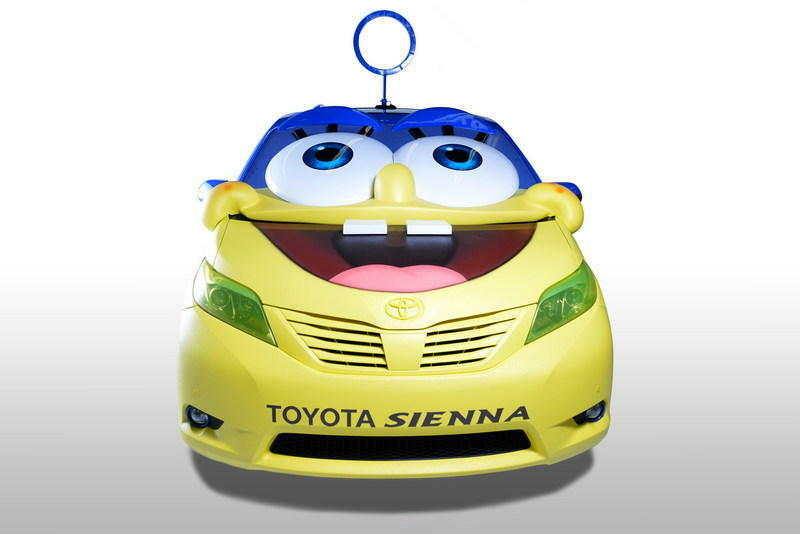 The entire body of the Sienna was also given a two-tone, yellow-and-blue finish depicting Spongebob’s skin color and the dominant color of his underwater address. There’s also a large bubble blower sitting on the roof of the van, described as a "Superhero Incredibubble" that was included with the singular purpose of blowing actual bubbles. A majority of the cabin, including the dashboard, door panels, and pillars were treated to the same ocean blue color trim as the roof. You thought the exterior was wild? Wait until you step inside the cabin of this Sienna. 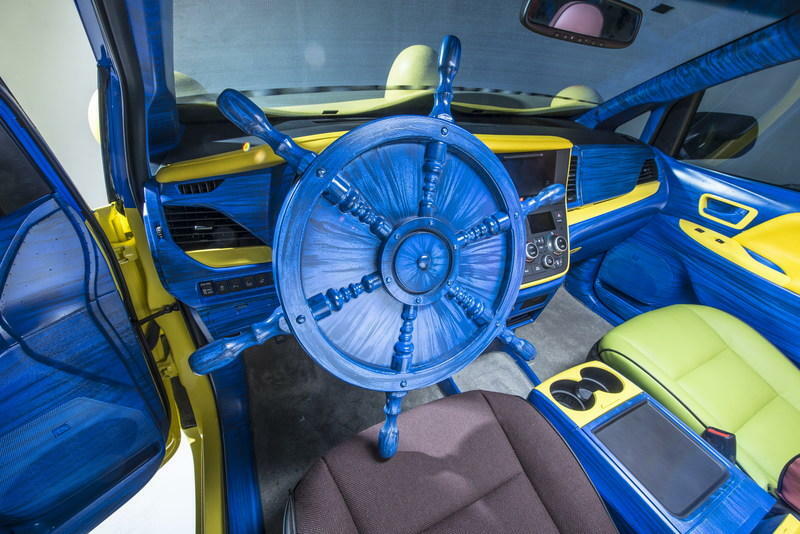 The oddities begin with the custom blue Captain’s ship wheel that has taken the place of the Sienna’s standard steering wheel. I’m not positive about this, but I don’t think that blue ship wheel has airbags inside of it. 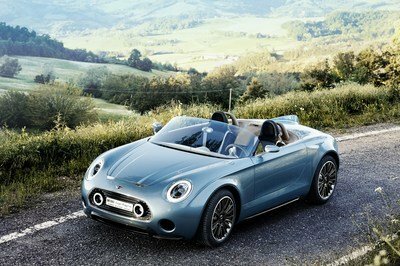 A majority of the cabin, including the dashboard, door panels, and pillars were treated to the same ocean blue-colored trim as the roof. The headliner is finished in a different blue-sky shade of blue while the floor was recreated to look like sand. The inspiration behind those two designs is quite obvious. 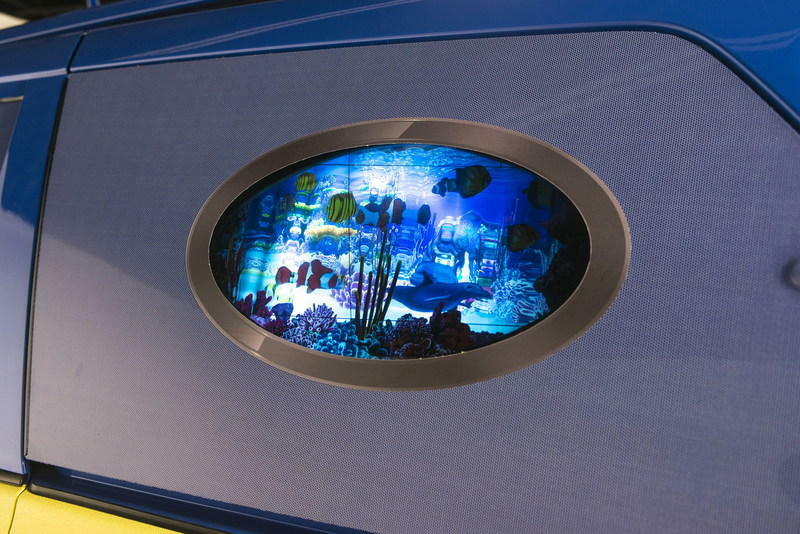 Some yellow trims were also added throughout the cabin, as well as custom seats inspired by the colors of SpongeBob’s posse at Bikini Bottom. I’m guessing Spongebob and Patrick Star are the two font seats while Squidward Tentacles and Mr. Krab represent the second row captains chairs. The third row seats are a little harder to make out, but that could be Sandy Cheeks, Spongebob’s squirrel/astronaut friend from Texas. 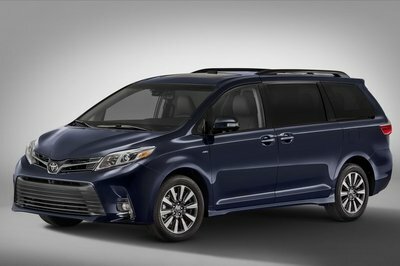 The combination of the V-6 and the transmission allows the Sienna to cover 18 mpg in the city, 25 mpg on the highway, and 21 mpg combined. The 2016 Toyota Sienna is powered by a 3.5-liter, V-6 engine that’s good to produce 266 horsepower and 245 pound-feet of torque. 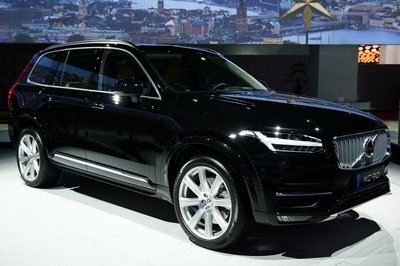 Power is sent to the front wheels courtesy of a six-speed automatic transmission. The combination of the V-6 and the transmission allows the Sienna to deliver 18 mpg in the city, 25 mpg on the highway, and 21 mpg combined. 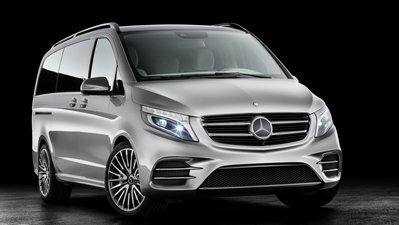 Now that the Sienna’s powertrain has been established, how do you even drive this thing to begin with? I get that the Captain’s ship wheel can probably be taken out and replaced with a standard steering wheel, but is it possible to look out of the windshield and see anything with Spongebob’s face blocking the view? My guess is that the face can be taken off of the windshield when the Sienna needs to hit the road. That’s the only plausible explanation I can think of. It’s best not take the Sienna SpongeBob Edition seriously and look at it the way it’s supposed to be looked at. It’s a kid-friendly promotional minivan that was given the full SpongeBob Squarepants treatment, right down to the captain’s ship wheel and the bubble blower on the roof. Nickelodeon and Toyota have partnered to transform everyone’s porous pal into a new 3-D concept car based on Paramount Pictures and Nickelodeon Movies’ upcoming film, The SpongeBob Movie: Sponge Out of Water. 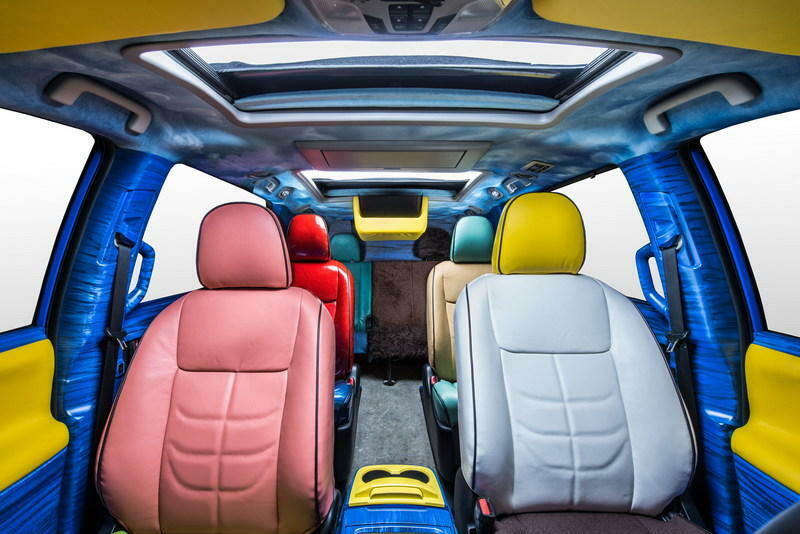 The SpongeBob Movie 2015 Toyota Sienna features a custom three-dimensional SpongeBob SquarePants exterior, complete with the character’s Superhero Incredibubble mask that blows real bubbles at the top of the car. The interior features seating inspired by each of SpongeBob’s Bikini Bottom pals, along with a wood-grain dashboard, a custom Captain’s steering wheel, a blue-sky head liner and a sand-inspired floor. 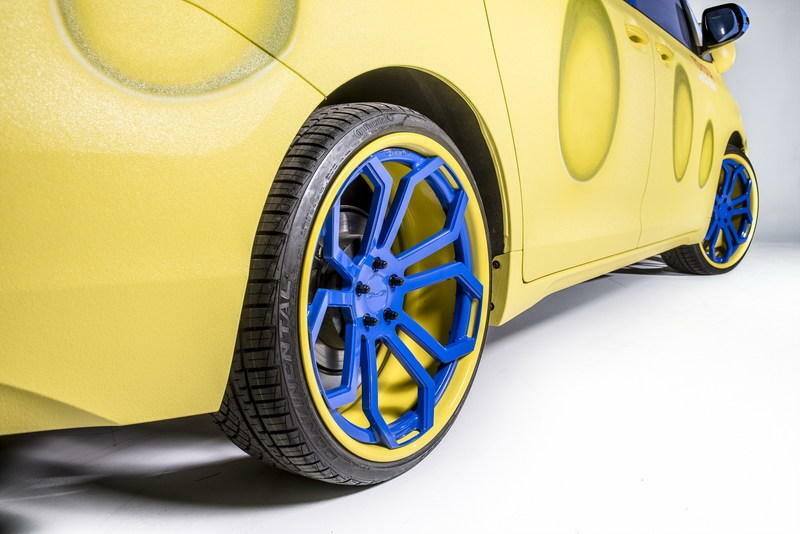 The one-of-a-kind vehicle will be unveiled on Nov. 18 at the LA Auto Show and will then roll out on a cross-country promotional tour leading up to The SpongeBob Movie’s Feb. 6, 2015 premiere.